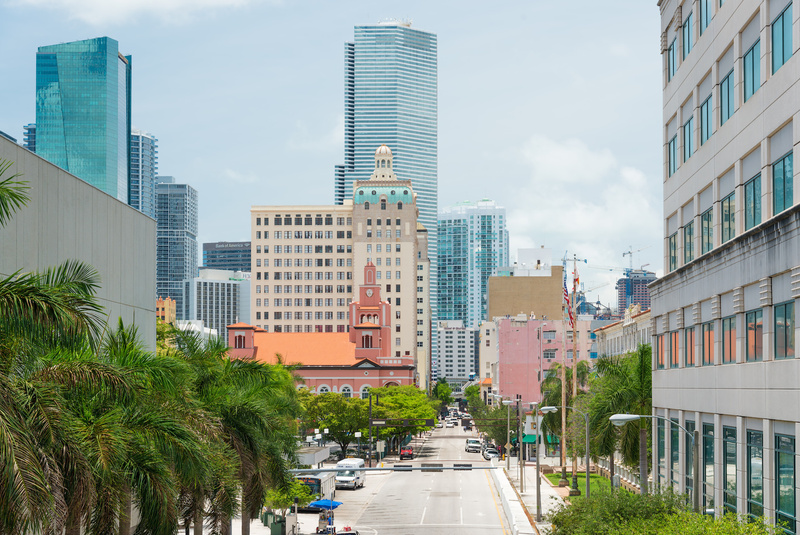 In recent years, Miami has begun to attract major industries and corporations. The low tax rates of Florida make doing business attractive for corporations. In addition, the state also maintains numerous tax incentive programs that provide refunds for corporations that create jobs for residents. Logistically, businesses also find that opening an office in Miami makes sense. Because Miami is located on the coast, it is easy for corporations to engage in trade with foreign entities. The Port of Miami has enabled the cruise industry to thrive in the state. In Miami, tourism makes up one of the most popular industries. Tourism is also a popular industry for greater Florida. Miami features prime beaches and real estate. In 2003, about nine million tourists spent over $10 billion on vacationing in Miami. Another reason Miami continues to be a popular location for major corporations is due to its location as a port. The Port of Miami enables businesses to engage in international trade. Numerous port brokers and customs agents are located in the area to facilitate the process of international trade. There are also two free trade zones located in Miami, which are the Miami Free Zone and Homestead Free Zone. Over 252,000 employees currently work in the trade and transportation industries in Miami. Tempo fashions itself as a “Rock Resort” of sorts, and it lives up to that name. All of the luxury furnishings are designed with a more modern, vibrant look than other hotels in Florida. Here, there is an emphasis on sleek designs, and the awesome Rock Resort Spa, located directly on the premises. The Tempo is a five star hotel, yet has a number of options that can suit most budgets.